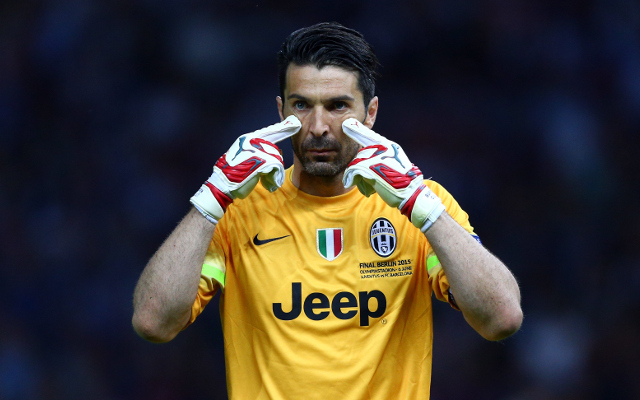 Juventus goalkeeper Gianluigi Buffon has officially confirmed his intention to leave the Turin giants after this weekend’s season finale. With over 600 appearances to his name for the Bianconeri, nine Serie A titles, four Coppa Italia trophies and various other pieces of silverware and individual accolades, the 40-year-old goes down as one of the club’s all-time greats. Widely regarded as one of the top goalkeepers ever, the level of consistency, mental strength and class that he has shown for Juve has undoubtedly made him a popular figure around the world. However, as he prepares to celebrate another Scudetto this weekend, the clash with Verona on Saturday will be his last for the Italian giants, as he confirmed in a press conference on Thursday morning. It has been a final campaign of highs and lows for the Italian icon, as although he’s secured another title and the Coppa Italia, Juve’s Champions League campaign ended in fury as he was sent off against Real Madrid in their quarter-final second leg clash at the Bernabeu after a controversial end to the game. Nevertheless, he’ll have to look back on a wonderful stint overall, and it will be a huge void to fill for the club moving forward having relied so heavily on the veteran to be one of the first names on the teamsheet for so long. As noted in the tweet below, Buffon didn’t confirm his retirement and so he may well choose to play on depending on the offers he receives. However, what is certain for now is that his time with Juventus is coming to a close.
.@gianluigibuffon and President Andrea Agnelli take their seats for today’s press conference.